I was mostly familiar with the award winning Slover Library in Norfolk, VA through DEMCO Interiors work furnishing many areas of the library. I was also impressed how a historic building from the 1890s could be made new (see The Modern Library: Embracing the Future While Celebrating the Past.) However, essentially what I knew was aesthetic. I recently got the in-depth story behind this stunning library as part of an interview for a commemorative catalog for Demco’s 110th anniversary and let me say, I’m even more impressed. Hearing from Sonal Rastogi, Library System Director of Norfolk Public Library, and David Sullivan, Chief Information Officer for the City of Norfolk, I came to gain a deeper understanding of what Slover Library symbolizes for the library community. 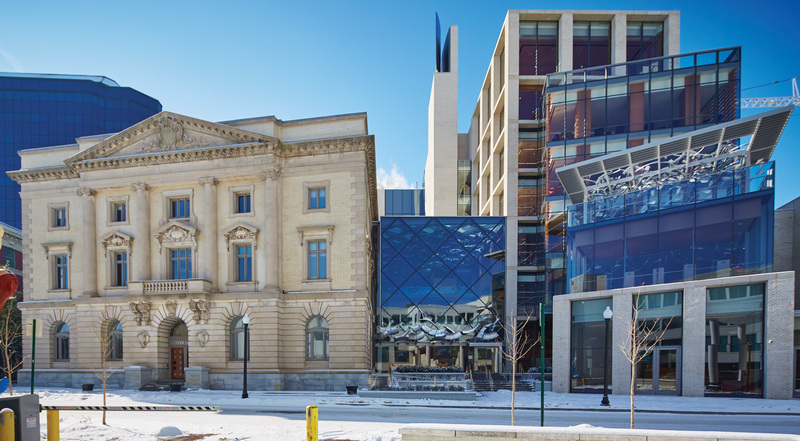 It represents a pivotal collaboration between the city, the library, the public and donors. Here I share an interview with Sonal and David. 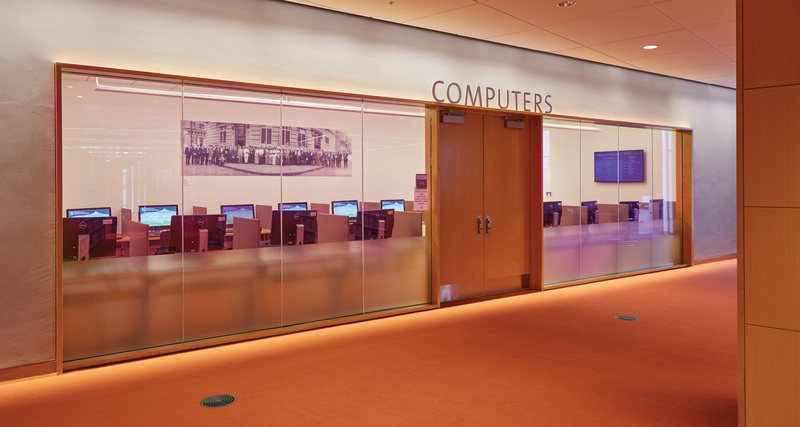 They do a wonderful job telling Slover Library’s profound story of community engagement, downtown revival and informing libraries of the future. Sonal: As a director, my role with the Slover Library was to be a team leader and team player because the City, Norfolk Public Library administration, Newman Architects and others were also at the table. It was BOTH a City and a library project. We could not have seen this come to fruition without everyone’s collaborative effort. But our input was essential too programmatically and space wise. As a team leader, I specialized in advocating for programmatic details and functional spaces (i.e., what went on each floor, etc.). It was my role to provide knowledge and expertise about the inside of the space and develop policies that would provide the best service delivery. How did we accomplish our goals? Several meetings. It was very important to have a team spirit at all of the meetings. Everyone came to the table with that mindset to provide the best experience for our community. Our library was very well heard about functional space details. When it came to the technical details, we left that up to the architects, the city and public works. We all had specific areas of expertise that were well utilized. We all had a great deal of appreciation for this project because of the generous donation of the Battens. The exterior of Slover Library symbolizes the transition from old to new. David: The City’s role was managing the project. We were replacing the downtown public library that was torn down to make room for the new light rail line. Initially the City’s vision was just to replace the downtown library. However, our funders wanted to build the most technologically advanced library, the most advanced of its kind. Another funder was interested in the architectural piece. Since the library sits off the central downtown square, it is a key civic area and the idea was for it to have a significant civic presence. So all along it was very much a community project with a lot of stakeholders. We spent about 3 years coordinating details, developing the plan. We drew on the best library planners and consultants to create an outstanding product. 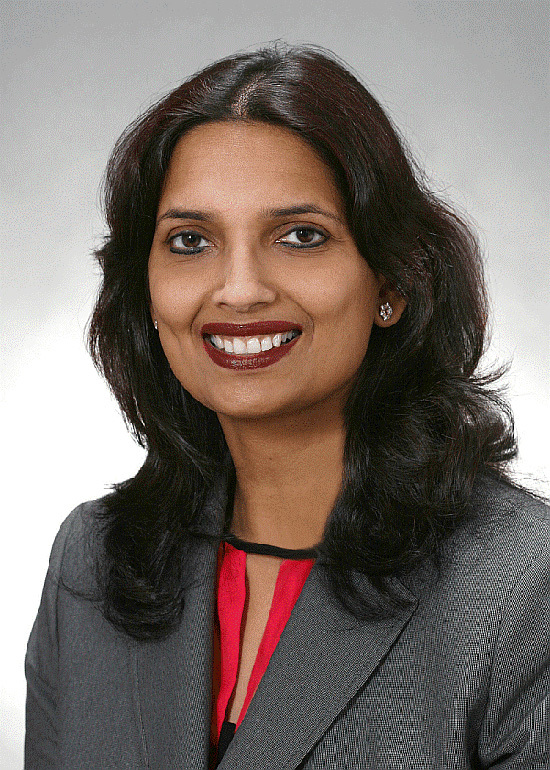 Sonal: We honor and respect what the traditional library provides, but then go beyond, offering a technical flavor. We also have a retail space by our checkout and information desk. It is like a gift shop, but in a smaller setting. We sell handbags, jewelry, calendars, mugs, Slover trademarked items. I have a few nice items from there myself. There is a café too. These elements change the library experience. You see a nice blend of traditional and new throughout the entire Slover Library. One feels there is a good deal of flow for those who want the touch and feel of books and those who are interested in technology. We have self-checkouts and interactive displays. Our entire 6th floor is dedicated to community engagement. I feel it’s a perfect blend and that it translates very well. David: One of the things we wanted to see at Slover was the ability to connect the community. We have a great event space that seats 250 people. Architecturally, it is a real statement piece and we are seeing number of things happen there: wedding receptions, environmental groups/meetings, veteran events, etc. A variety of private and professional events have also been held there. One event even had the place decked out in purple lights. The City has embraced this space as a place to come together. It’s not what you would expect from a library. We are seeing good attendance at Slover. The children’s programs are extremely strong. You will see moms waiting outside the building on Saturdays, our busiest day at Slover, because they want to be first in line for the programs. The City is already having discussions about who is our next audience — the architects told us the building is meant to be used heavily! David: Slover Library has all the things that you would expect: 130 public use computers … the kinds of things all libraries have. What makes Slover stand out are a couple of things. First, the Sargeant Memorial Collection. It is the 3rd largest collection in the state of Virginia, which makes it a significant collection in and of itself. We had a number of photos from the first part of 20th century that were in negative form. We wanted to get them out of their envelope sleeves and out in front of people. We used enormous touchscreens. They’re basically browsing tools to explore the archive. The touchscreens send 8 more pictures associated with every one you chose. As you select one of those pictures, the touchscreens learn from your touches. The more you work, the more it understands what you’re looking for and helps you. Early on, the scanning of these photos focused on architecture throughout history. Then we transitioned to including pictures of people in the archive. These pictures are extremely high resolution. You can enlarge them to be up to 4-feet tall and they do not pixelate. You can look someone from the past in the eyes. Slover Library makes history come alive. We are taking this great archive to the people without making them put on white gloves or take materials out of drawers. 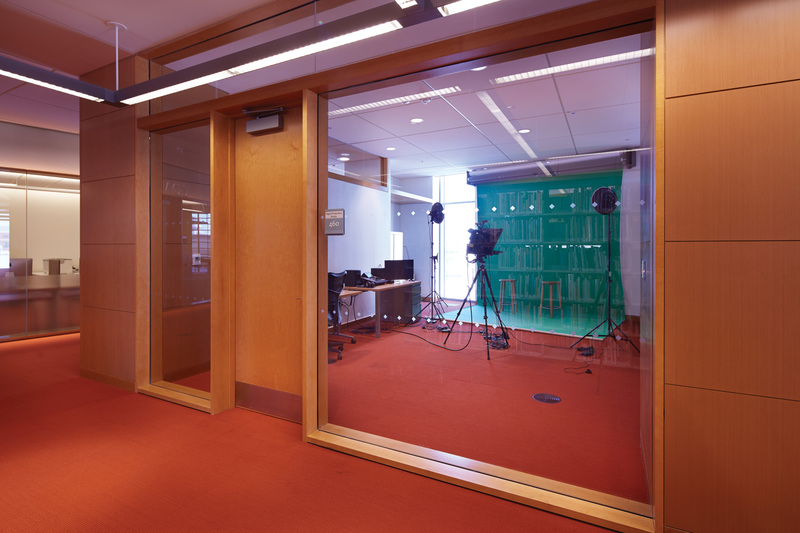 The digital production room uses technology to encourage creation. The other state-of-the-art thing about Slover is that we tried to address new trends. There is a video room to address the YouTube, make-your-own-video generation. This space includes a teleprompter. We also have a high-end media lab with the Adobe creative suite and unique software that people wouldn’t have access to at home or at work. We teach classes on this technology. We have a 3-D printer and teach how to use it for business entrepreneurship. Yes, more and more libraries are offering this, but providing thorough education around it helps separate us. There is high-resolution color printing too. Users only pay for the cost of materials. We have 3 total buildings so people tend to go back and forth between our buildings. We put in digital signage, what we call wayfinding technology, to help people find what they need. Touch screens are available that show people how to get from one point to another. Literally giving them a dotted line where they need to go. Digital signage promotes events happening at the library. The collection of the whole makes Slover unique. We have a little bit of everything that is hot right now. We threw in a lot of technology at this library. Many of the librarians may not have been used to it or comfortable with it, but we came together and went with it. Anytime you do a multidisciplinary project like this, it is great to see what comes out of it that otherwise wouldn’t have come out of it if you had just a single stakeholder. Sonal: My top priorities are providing the best customer service experience and consistently doing so at any of our locations. I concentrate on getting the same level of experience across locations. Yes, Slover Library is the jewel in our crown. However, I really feel that we have always had our focus on branches. I want to build up our branches and our services so that they have the same flavor as Slover whether that be technology or self-checkout. At each branch library, we are looking into having at least one interactive display. We will gradually rebuild and renovate so that anyone walking in has the same experience and customer service experience as they would at Slover. Our community has the expectation they will receive the same level of service no matter which library they use so we are trying to offer that to whatever extent that we can. I don’t think anyone should be devoid of those kind of downtown experiences. Our neighborhoods may ask, ‘OK, why am I not getting that kind of experience?’ So we are not losing track of this. I also focus on meeting the needs of the community with a variety of programs. We have been adding a plethora of multicultural programs to better serve and represent our communities. Training is another key to evening the customer service experience across all of our libraries. We have spent a lot of time over the past couple of years to continuously train our staff. Of course, there may be turnover and new employees must receive proper training to help them understand the kind of experiences we want to provide to our community. Nor do we forget about our veteran librarians. Continuous development is a priority of ours for them too. While the time and resources it takes for continuous employee can be challenging, we are committed to it. Sonal: I’m proud to have been a part of this project. I’m also proud that Slover Library is now a destination because of the way it presents itself. The way that Slover Library is now seen by people adds to how we (Norfolk Public Library) are seen in the community; there’s a positive reception for us. People are seeing that we can offer the unique services, experiences and architecture that they want. 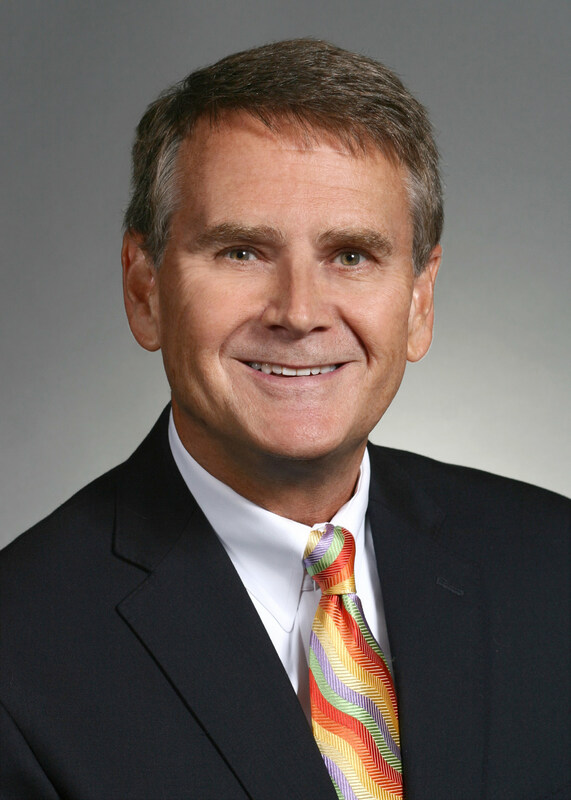 David: I’ve worked in government for 42 years and I’ve worked on a lot of cool projects, but Slover was a once-in-a-lifetime project for me. One of the things that was the most rewarding for me on this project was working with all the different people from all different disciplines.